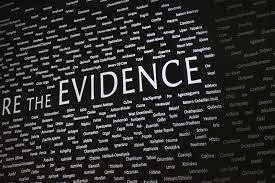 Evidence is what you need to win your case. Evidence provides proof to support the claims you have made against a defendant. Obtaining relevant evidence, however, is not as simple as merely asking your opponent to give you everything he/she has after filing a lawsuit. To the contrary, pre-litigation strategy is mandatory. A good lawyer knows that, before filing a lawsuit, action must be taken in order to help ensure that evidence is available during a lawsuit. One way to accomplish that objective is to send “spoliation letters” to persons/companies who may possess evidence that could help your case. Spoliation letters instruct a person/company to preserve certain evidence that relates to your case. Spoliation letters are significant because if a person or company destroys evidence after being placed on notice not to do so, then that person/company may be held legally responsible, in a manner that greatly benefits your case. 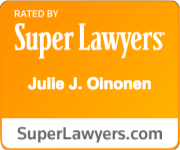 The issue is complicated, however, so you need a good lawyer who knows about this area of law, such as the lawyers of Williams Oinonen LLC. The content of spoliation letters, and who to send those letters to, depends on the type of claim(s) you have. But, three targets of spoliation letters are easily identifiable. First, a good lawyer will send a spoliation letter to the actual person who is believed to be responsible for your injury. The spoliation letter will advise that person to take all reasonable measures to preserve evidence such as emails, reports, text messages, journals, phone records and so forth. Second, if the person who is believed to be responsible for your injury is employed by a company, then that company may have key evidence regarding your case. Consequently, a spoliation letter should be sent to that company as well. Third, most often an insurance company is involved in civil litigation. And many times, the insurance company performs an investigation into the circumstances that you claim caused your injury. Consequently, a spoliation letter should be sent to that insurance company too. As I stated earlier, the content of each spoliation letter will differ. For example, a spoliation letter sent to a police officer and his/her police department will differ from the content of a spoliation letter sent to a truck driver and his/her company. Regardless, spoliation letters are vital to effective litigation. Williams Oinonen LLC can be reached at 404-654-0288.